But that’s only the tip of the iceberg. How would you like a career you can be proud of? The demand for trained laser technicians is higher today than ever before! You see, people who will be your customers are smarter today because they know what to ask for: Botox®, Fillers, Thermage, Laser Hair Removal, Tattoo Removal, Acne treatments and many more solutions to skin conditions. There were nearly 11.5 million surgical and nonsurgical cosmetic procedures performed in the United States in 2006, as reported by the American Society for Aesthetic Plastic Surgery (ASAPS). Nonsurgical cosmetic procedures made up 83% of all the procedures. Since 1997, nonsurgical procedures increased by 747 percent! Laser hair removal and laser skin resurfacing were two of the top five non-surgical cosmetic procedures: laser hair removal (1,475,296 procedures) laser skin resurfacing (576,509 procedures). (The others three were Botox® injection (3,181,592 procedures); hyaluronic acid (dermal fillers) (1,593,554 procedures); microdermabrasion (993,071procedures). Women had over 10.5 million cosmetic procedures, 92 percent of the total. Since 1997, nonsurgical procedures have increased 749% among women. Our expert team of doctors and technicians are here to help you continue your education into the expanding world of laser medical aesthetics. Learn the skills, techniques and tools to add cosmetic procedures. Plus, we offer the opportunity to franchise your own business in medical aesthetics. We offer general courses to individuals who are interested in franchising, or simply want a career change as an aesthetician, cosmetologist and expert in the beauty industry. Here’s what else you can expect. What will you learn in Botox and Filler training? Theory and techniques of Botox and Fillers. Hands on training on real Patients for both procedures. What will you learn in the Basic laser training? You will be leaning the history of Lasers, laser physics and tissue interaction. We will go through the hair biology, growth cycles, Fluence, pre and post treatment skin care and laser parameters. You will learn 3 methods of Laser Hair removal, (Diode, IPL, ND Yag) Microdermabrasion and Skin Rejuvenation. You will also learn how to do a proper consultation on a patient and learn how to assess their skin conditions. There will be hands on training on all types of treatments taught in this training. What will you learn in Advanced Laser training? It would start with a refresher on the Laser physics and tissue interaction you had previouslly learned in the Basic laser Training. In the advanced you would learn more advanced treatments like Skin tightening, laser resurfacing, Tattoo Removal, and Vein treatments. There will be hands on training in all of these treatments. Here at Laser Sheer™ of Edmonton located in the largest shopping mall in North America, West Edmonton Mall, we train you for 2 or more days. We offer a variety of courses that suit your busy schedule, and we guarantee you will experience firsthand, more competence and professionalism needed to start your own Laser and Skin Rejuvenation Treatment business. I urge you to invest in yourself and your leadership right now. Or if you want to invest in a new career. It’s up to you. To register your admission into a program that suits your needs, please call Carolyn Toll Free (866) 62-LASER. If in Edmonton, call locally (780)489-1950. You can write us at training@lasersheer.ca and find out which set of courses is the best fit for you. We will take your registration and answer your questions. And remember, in as little as 90 days, you could open your own Skin Rejuvenation and Laser Treatment Centre – imagine this new experience. So if we could guarantee an end to your nagging indecision for a new career, or lack of training in the latest laser technology that will assist in your current office – would you be willing to give us a few moments of your time? We hope so. P.S. Find out more about our schedule by calling our offices today. 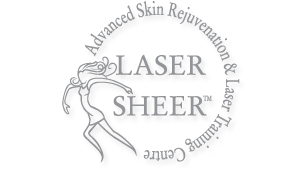 Contact Carolyn at training@lasersheer.ca or call Toll Free (866) 62-LASER. If in Edmonton, call locally (780) 489-1950. P.P.S. Here’s a private invitation from me. We take pride that our Laser Sheer™ and Acne Clinics of Edmonton, plus our dynamic laser training centre are ideally located in North America’s largest shopping and entertainment Mall. West Edmonton Mall offers 800 stores, 100 eating places and 9 thrilling parks and attractions!